The online MHA degree is one of the more popular choices for distance learners seeking a graduate program in the health care field. An MHA is becoming an increasingly valuable credential in the world of healthcare – much like the MBA is often seen as necessary for business professionals who want to break into leadership roles. Online colleges and universities have also begun tailoring their online master in health administration programs to specifically benefit working adults. Gone are the days when going to school online meant sacrificing your work. Now, you can actually leverage your professional experience to gain entry to shorter programs and/or earn academic credit, all without quitting your day job. The three data sets came from College Navigator. Note that we included all conferred degrees in health administration at the graduate level – not just students who earned their degree online. We were less interested in judging the size of a particular program and how that might affect the students, and more interested in investigating the overall popularity of healthcare administration as a subject at a given school. Annual tuition calculations are specific to graduate programs for the 2016-17 school year. Where there are ties, the school with the lower in-state graduate tuition rate is favored. Students can earn their degree in about 22 months and the flexibility of the program allows students to continue working full-time while earning their degree. The School of Public Health at the University of Michigan features an Executive Master of Health Services Administration program designed for working professionals. It's a cohort-based CAHME accredited online master's in health administration. It's delivered through a mix of nine on-campus intensives and live virtual classroom experiences during the week. Students can earn their degree in about 20 months while continuing to work full-time. The School of Health and Medical Sciences at Seton Hall University offers an online CAHME accredited healthcare administration master's program for students with or without healthcare experience. This cohort program can be completed in about two years of study. Students come together at Seton Hall three times during the program for intensive residency experiences. These include lecture sessions, presentations, and networking opportunities. This 48 credit hour program includes 45 credits of coursework and a Field Based Learning Project. Most students can earn their degree in two years. About 75% of students work full-time while earning their MHA online. Coursework is delivered through a blend of face-to-face intensives and online learning. New cohorts begin each January. The University of Missouri features an online accredited MHA degree program designed for health care professionals with at least three years in the field. Students come from a variety of backgrounds including physicians, nurses, human resource executives, and financial professionals. The innovative program is delivered through online coursework and monthly on-campus weekend sessions. This allows students to continue working full-time while earning their degree. Students interested in informatics can earn a dual degree with an executive Health Informatics MS degree. 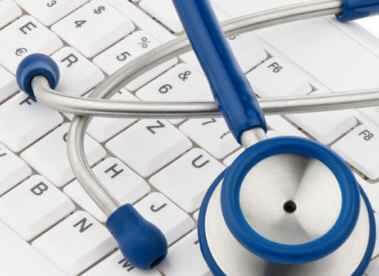 Texas Woman's University offers a e 24 month online master's in healthcare administration program. It includes a regular MHA program and an executive format for those with three or more years of management experience. The 45 credit hour program includes coursework and a professional portfolio and faculty presentation. The program holds CAHME accreditation and has adopted the National Center for Healthcare Leadership competency integration model. This means students receive the highest quality healthcare leadership education. In addition to earning a highly coveted MBA in healthcare, students can also earn certification in Lean Six Sigma yellow and green belt. The University of Alabama's School of Health Professions features an executive format online MHA with the flexibility working professionals need. Students complete the majority of their coursework online, with supplemental on-campus intensives three times each year. Most students can earn their degree in two years. The program is available to students who have at least five years of health care experience. Students can also pursue a dual degree with an MS in Healthcare Quality and Safety or add a graduate certificate in HQS. This concludes our ranking of the best online master of health administration degrees.